You are a B&W photographer, even though you share some color on your Instagram every once in a while. Why Monochrome? While my initial response to the question, which can be read in the original interview here, was good as a very brief overview of some of my main thoughts on the matter I would like to take some more time here to expand on some of my answers, in large part through a case study of Ansel Adams’ work followed by some brief conclusions. As I stated in the interview, black and white imagery has always been a deeply beautiful medium to me. 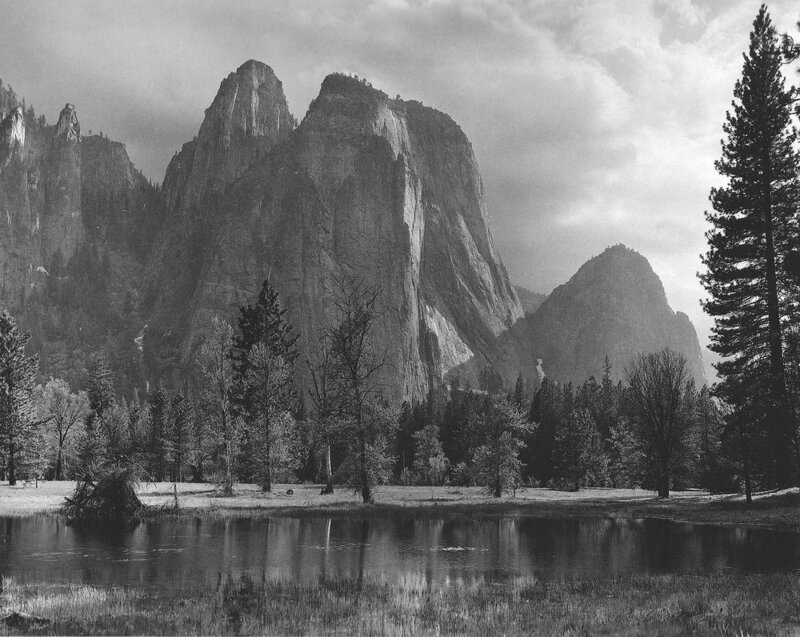 Some of my earliest memories of being struck by certain images relate to my encounters with some of Ansel Adams’ work as a kid (a cliche story, I am aware). But, cliches aside, images like Clearing Winter Storm, Snake River Overlook and others definitely had a lasting impact on me. And in large part my tendency toward working in black and white probably owes much to these formative experiences which instilled such a love and respect for black and white as a medium. More to the point here, there is something about Adams’ presentation of the monochrome landscape (and the presentation of the landscape in good black and white work in general) which I think changes our modes of experience in very interesting ways. In Adams’ black and white work we are shown a view of the world which is both familiar and yet different for reasons which can be difficult to pin down. The absence of color seems at first blush to be a small difference. But the impact of this subtle difference is visceral and contains some of the deepest import of black and white as a photographic medium. .
Over the years I have spent time dabbling in both color and black and white, and over those years of experimenting with and reflecting on both mediums I have slowly come to some more solid conclusions on those difficult to pin down qualities of black and white presentations of the world. The short answer, stated both in the interview and above, is that black and white allows us to present as artists, and experience as viewers, the world in ways which are more difficult if not impossible within the familiar medium of color. At the risk of being overly simplistic, a monochromatic presentation, by the simple removal of color, opens up a space for a different encounter with the world. To expand on this point, Adams’ above image of Cathedral Rocks in Yosemite would most certainly be a stunningly beautiful scene in color. 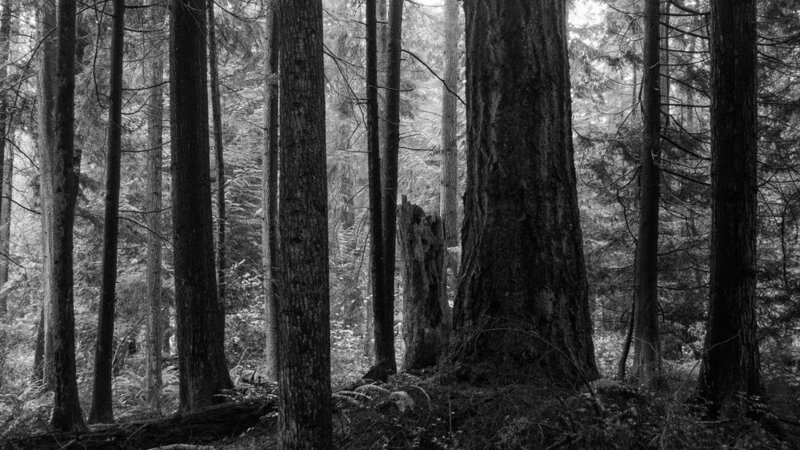 But in Adams’ monochrome presentations we are thrust into that interstitial realm between the familiar and the unfamiliar. We behold the landscape in a way which we have and cannot ever experience outside the medium of the black and white image. By throwing us into that realm between the familiar and unfamiliar we are called to reconsider, to re-encounter our once-familiar world. The monochrome landscape calls not simply to be experienced as a picturesque color scene might, but to be considered, contemplated, encountered in a deeper manner. I think this aspect becomes especially clear when one views Adams’ color work, and the necessary contrast that one feels between it and his black and white work. While Adams’ color work still comprises a beautiful body of work, there is a clear experiential difference between much of his color work and his black and white work. Adams’ color work, while still strikingly beautiful imagery, does not seem to elicit the same kind of response. Perhaps, as I would postulate, this is because it does not offer us that window into the unfamiliar that black and white imagery does so well. The world “in living color,” so to speak, is too close to the world of our everyday familiarity to spark within us that encounter with the unfamiliar that motivates that deeper engagement that was spoken of above. Put another way, one does not contemplate that meaning of the landscape in a color image. But one would be hard pressed not to in a monochrome image. The point here in highlighting Adams’ work, as noted above, is that I think it functions well as a case study on those particular qualities of great black and white images, and consequently such a study is a helpful guide in the search for an answer to the question, “Why monochrome?” Or, in this case, serves as a helpful avenue to expand on some of the answers I have given to this question in the past. And in reality this treatment of the question “Why monochrome?” is not markedly different from what I initially put forward in my original interview with Adrian, but it was never supposed to be. The same key point remains: through the medium of black and white we are able to present the world in ways which push our experience into the realm of the unfamiliar. And in so doing we create a space for a kind of experience which has the effect of moving us to think or see differently about subject matter being presented to us.